Nothing heralds the celebration of Christmas like a fresh, hand-made wreath hanging on doors or in rooms for all to see and enjoy. Their qualities are unlike any other decoration. Unfortunately for some, a fresh wreath’s charm is hard to come buy – and they settle for something sitting on a shelf – or worse, a plastic imitation! 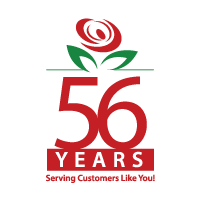 You shouldn’t have to compromise on the festive quality of your home this Christmas, which is why Brant Florist doesn’t compromise when hand-crafting your holiday decorations. Made with real and fresh materials like the fir from a living tree, you and your family can look forward to elegant merriment as soon as you order one of our many wreaths online. Decorated with pine cones, flowers, ribbons and other festive items, the fresh Christmas wreath can also be used as a table top centerpiece. 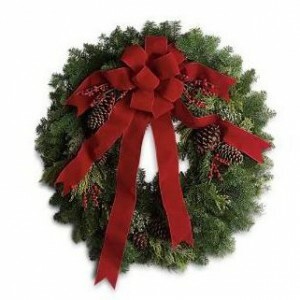 In a season of gathering and joy, only wreaths hand-made with over 50 years of floral experience can satisfy the discerning shopping needs of a holiday maker like yourself – never compromise with mass-produced products, especially when a wreath’s purpose is to express the holiday cheer of your home. Constructed to suit all tastes and budgets, a wreath’s message also makes for a wonderful Christmas gifts to friends, family and neighbours. Order your Christmas wreath online and send the perfect message of good tidings to someone you care about.